You may not be aware, but insurance companies make a good amount of their total money by delaying or denying insurance claims that are legitimate. In the last few weeks, people in the southeast of Texas have been dealing with a ton of devastating damage due to horrendous Hurricane Harvey. The damage caused by this natural disaster is estimated to be more than 160 billion dollars, and that’s just the initial estimation. With so much damage, it is expected that insurance companies will attempt to do what they do best, which is look for any and all reasons not to pay claims that are entirely valid, as well as pay pennies on the dollar for additional claims that are owed much more. Additionally, as of September 1, 2017, the insurance industry lobbied to change the laws regarding insurance so that the insurance companies are protected further, making them able to deny insurance claims more easily. 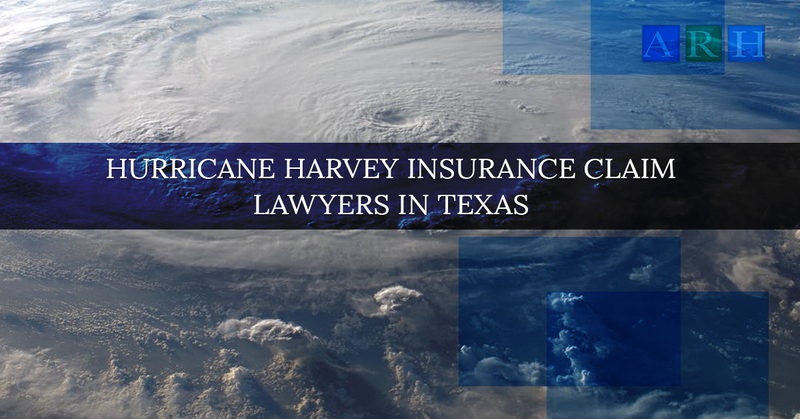 This means that if you were affected by the tremendous damage and destruction that Hurricane Harvey caused and you live in Texas, you will likely need the help of an insurance claim lawyer. The unfortunate truth of the matter is that insurance adjusters are going to do everything they can to take advantage of those who have lost everything because of Hurricane Harvey. Whether it be a home, personal possessions, their business, livestock, or crops, much of what was thought to be covered by insurance will likely not be. Even if it is, insurance companies know what a vulnerable position these people are in and therefore will lowball offer to claimants in order to save money in the long run. This means that it is imperative for you, as someone affected by this natural disaster, to carefully document any and all damages that you suffered as a result. Make sure that you have also reviewed your insurance policies and that you know them like the back of your hand. Lastly, keep a copy of every single bit of communication you have with the insurance company. This will be beyond beneficial to you in the long run, especially if you hire an attorney who is familiar with insurance company tricks. It’s a shame, but there is a reason that insurance claims are so long and include so many caveats, and this is because insurance companies hope that you won’t read them until something bad happens. Once a homeowner actually does sit down and read through their policy, they often find that it is not everything that was promised to them. Even once they read all the way through, people often find these policies to be complicated and confusing. If you find this to be the case with your policy, the best way to proceed is to hire a Texas attorney to assist you. By hiring an attorney to handle your insurance case, you can ensure that you get every cent that the insurance company will possibly give you. The lawyers at Alex Hernandez Trial Law will work diligently to get you the compensation you deserve and need to rebuild your life. Contact us today to find out how we can represent you and assist you in getting everything you need to move past the devastation that Hurricane Harvey brought on your life and your livelihood.